Orange Jubilee is a vigorous shrub with a cast iron constitution. It can be trained flat against walls as well as trained into small trees. 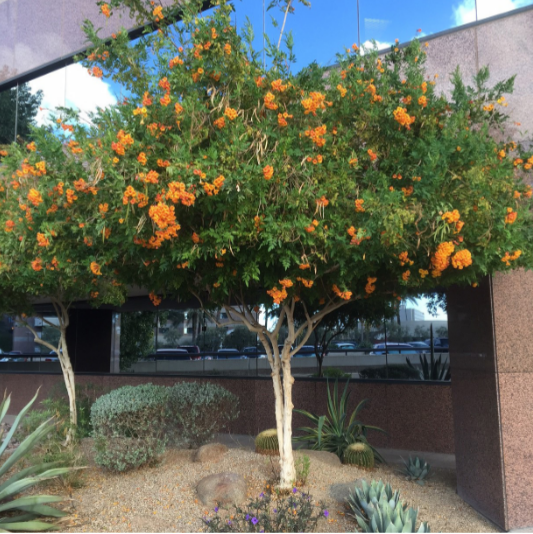 It blooms nearly all year with generous clusters of large orange trumpet-shaped blooms. This shrub has lush green leaves that lend a tropical feel to the desert landscape. 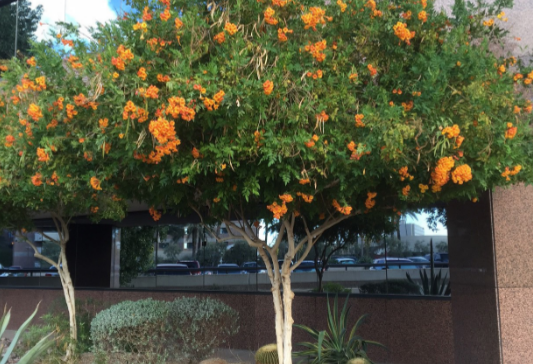 This plant performs well in all but the coldest Phoenix area weather. If it does freeze back, think of it as MotherNature doing some needed pruning,as this plant will re-sprout rapidly with more flowers appearing on the new wood.